For all the hype and declarations of world-changingness that have been made about mobile technology, social networks, the new hype sounds a lot like the old hype. Only the drastic hyperbole in place of earnings has changed. Only schoolgirls and iPhone fanboys crave the mobile experience; they didn’t replace conventional computers nor did (or will) iPads. I love it when people say completely outlandish things like “the age of privacy is over” or give plans 5 years into the future about what technology and the internet will be like. Almost no one (besides the odd Caltech professor here and there) has been able to do so in the past. With the way the pace of technology has been increasing and I don’t believe that anyone will be able to come up with accurate 5-10 year adoption projections in technology markets. Google bought Dodgeball. It sat and rotted, the founders emoquit, and then they made the same company again web 2.0 style and called it Foursquare. Making the same product again which, in the new hyper-optimistic valuation style of Facebook, is worth at least 100 million. The new style of success seems to be unintended functionality involving a competitive twist that ignites the fire of super contributors. The basic keys seem to be an appeal to ego, inspiring competition, fostering a sense of community, and perhaps most importantly, bribes of money or free stuff. Another factor that seems to be important to the process is a lose grip on how it evolves. Attract a community and then let them do what they want with functionality that you make available. 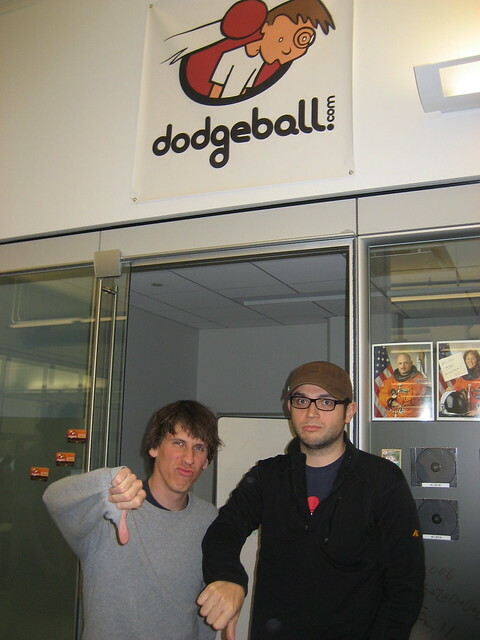 Foursquare, and Dodgeball before it, was designed to be a location notification service. Instead of sending an individual text to an individual, opt-in notification would go out to your friends so that they knew fun was in progress and they could chose to find you. Google took this concept that they had acquired and evolved it into an always-on version that they called Latitude. Really this concept evolved from APRS which was not designed for the softcore. Lowering the bar to entry was the killer app for Dodgeball. Because of the post social network landrush for having a check-in offering in every content portal, Yelp, Foursquare, Facebook and the also-rans have given their userbase location-game candy. The functionality, for the most active users, stopped being one of utilitarian friend notification, to “winning the game” of being the person who checked in the most. When I was writing on a video game journalism site and speaking to the other participants on a hidden staff forum last year, some of them agreed on something that sat unwell with me; they loved it when people played games in ways that the creators didn’t anticipate. I countered this with the contention that this was fine and well as long as it didn’t ruin the experience for others that they shared the game environment. I had part of a similar conversation yesterday when I was having breakfast with some local crossover nerds who questioned why I wasn’t the King of the Seattle Yelp check-in ladder. I told them that it wasn’t the point to win; that foursquare badges, mayorship, and Yelp check-in functionality was to inform people of where you were, not to “win” at the location check in game. If I was ever right once about intended functionality being the appeal, I’m clearly wrong now. Everything is becoming a kind of poorly constructed game in that the a free form factor of unanticipated gaming seems to be becoming more and more apparent. Unlocking achievements and acquiring of points of no value seems to be popular with the minority of users that are actually using Foursquare and Yelp check-in services. Yes. Very small percentages of their users. Buzz and valuation numbers seem to follow total accounts and not active contributors or qualitative data as it would be much less impressive. Metalife more appealing than actual life. Why bother going out and having fun with people when you can sit at home and check in to venues to win and be mayor, duke, king. You’re winning the game! Nothing. No one cares (besides, perhaps, a community manager who might be asked why their users are cheating) that you’re the Duke of Home Depot or the Mayor of the grocery store. So after the winning is over, what do we have? Something to be played with until it gets boring. There are endless examples of what happens to web companies once the romance is over for customers or users, they get acquired, and/or and deadpooled. Example: Zynga valuated as being worth more than Electronic Arts? Please. Clearly it is time to stop taking valuations seriously as they seem to be no more than a sticker price on a VC exit metaPorche. I like the business concept of Zynga, much like I enjoyed Microsoft’s tragically flawed deployment of smartphones for dumb people in their Kin product; it fills a need in an under-served market. Clearly people would like it if done well. Hopefully in the future firms looking to deploy such games, especially if there is a reward worth having in winning, will employ people who are good at constructing games which are balanced and play fair for all. That will assure that people will continue to use them and integrate with them. 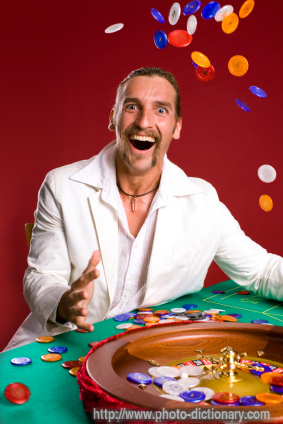 Dood, the last time I saw you, we were in a casino. Do you think they care about balanced, fair games? The idea here is to build the biggest, most annoying palace, crowdsource some sluts, and swindle the big cats while convincing the scrawny ones that you’ve built an adult playground. That’s a good point. No one should discount the power of slutsourcing. Developing really annoying stuff works for a while, but I’ve always seen the interest dry up after enough screwing over of the users. It eventually becomes unfun. If these people want to run games, they have to keep the people playing the games. Even awesome captivating and completely deep games become unfun and lose membership eventually (with the possible exception of World of Warcraft). Speaking of casinos, that’s one of the points that I heard Schell making in his presentation; the suggestion of combining the psychological addictive tricks that these games employ with the all powerful addition of gambling.